I've always loved travelling and visiting the historic city of Melaka, be it for work or pleasure. 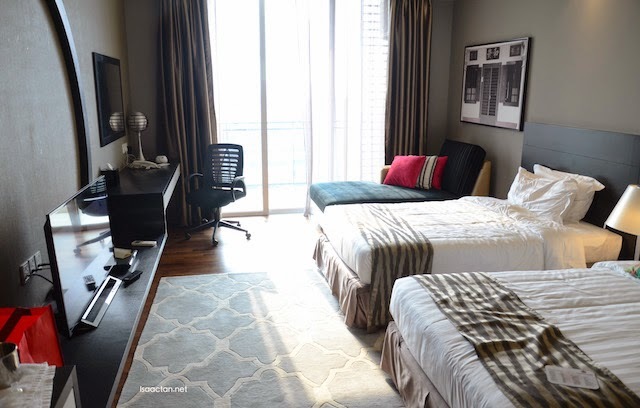 A couple of weeks back, I was there with the family for a weekend staycation at Swiss Garden Hotel atop the very new and grand The Shore Shopping Gallery. 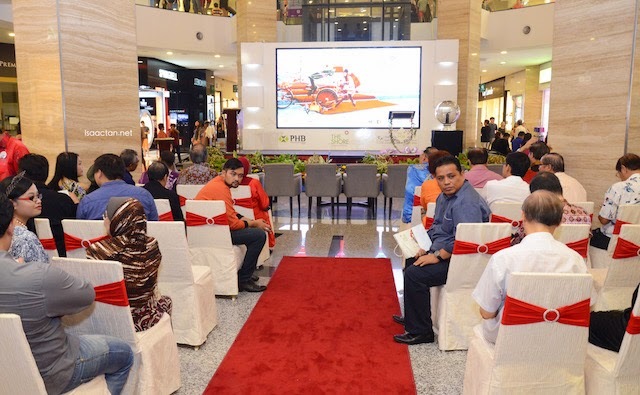 It was their grand opening night that weekend, where Pelaburan Hartanah Berhad (PHB), a subsidiary of Yayasan Amanah Hartanah Bumiputera (YAHB), officially launched The Shore Shopping Gallery in the heart of the historic city. The Shore Shopping Gallery is strategically located on the river cruise / monorail route and opposite the Eye of Melaka, just a short drive away from the heart of Melaka's historical sites, the well-known Jonker Street and Chinatown. The stylish lifestyle-tourism focused shopping mall is home to over 100 splendid stores with an area size of 300,000 sq ft. The Mall features modern, elegant architectures, harmonious landscaping and a bevy of services to make it a shopping paradise for all ages. Shoppers will find themselves stepping into & discovering an impressive selection of restaurants, a multitude of international and local fashion stores and excellent retail finds to satisfy every shopper's need. 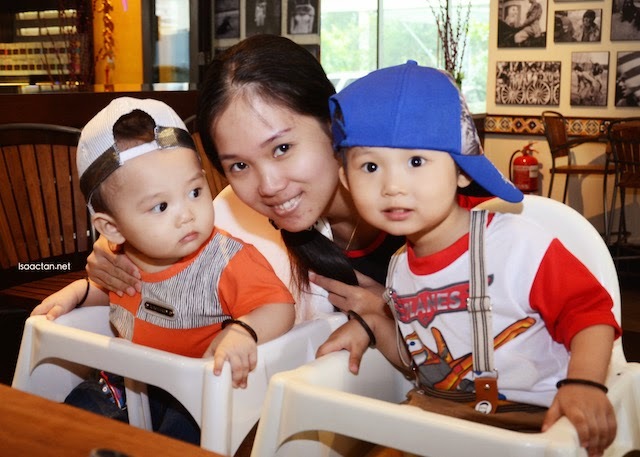 Janice and the boys had a great weekend in Malacca! The launch marks a significant milestone in the group's foray into the retail market. 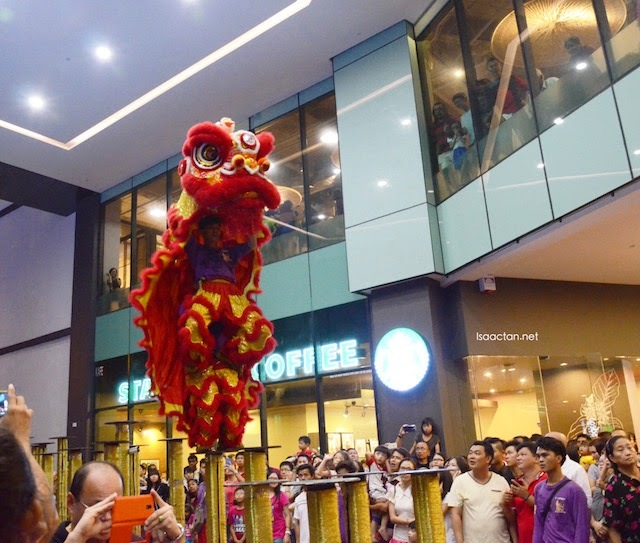 It is the second for PHB after last year's successful opening of Nu Sentral, a seven-storey lifestyle retail mall within Kuala Lumpur Sentral. 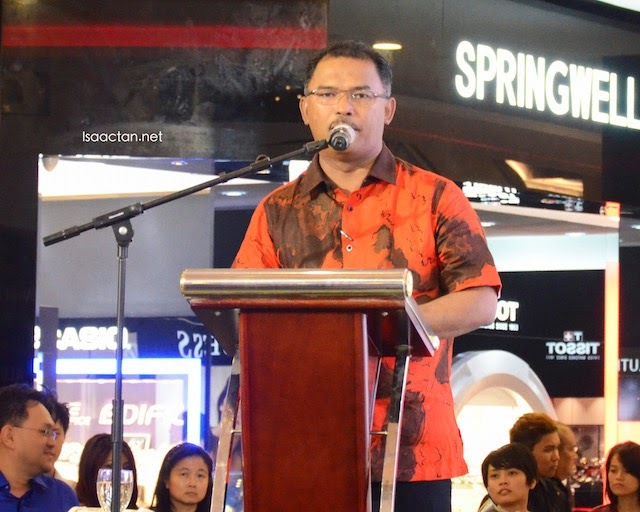 Melaka Chief Minister, Yang Amat Berhormat Datuk Seri Idris Haron signed the plaque, commemorating the official opening of The Shore Shopping Gallery. It was an occasion of grand proportions, as nothing was spared to make the grand opening as festive and grand as possible. 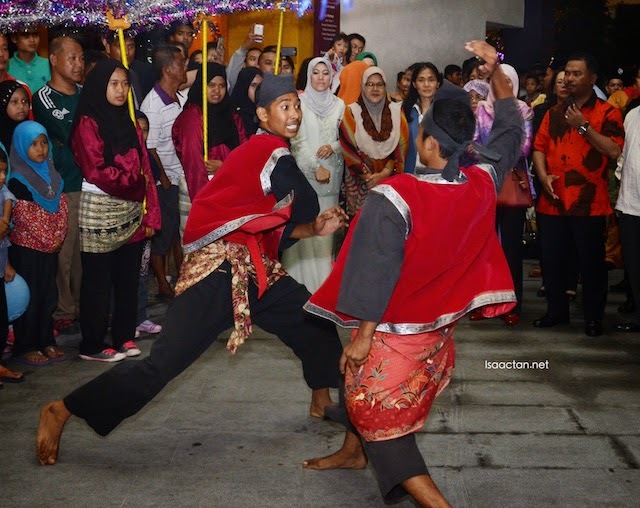 The arrival of Melaka Chief Minister, Yang Amat Berhormat Datuk Seri Idris Haron kicked off a series of performances, from the Malay traditional silat, to the 24 Festive Drum Performance & High Pole Lion Dance. The very cool 24 Festive Drum Performance & High Pole Lion Dance. Also present at the grand opening were PHB Managing Director and Chief Executive Officer Datuk Kamalul Arifin Othman and Kerjaya Prospek Group Chief Executive Officer Datuk Tee Eng Ho. 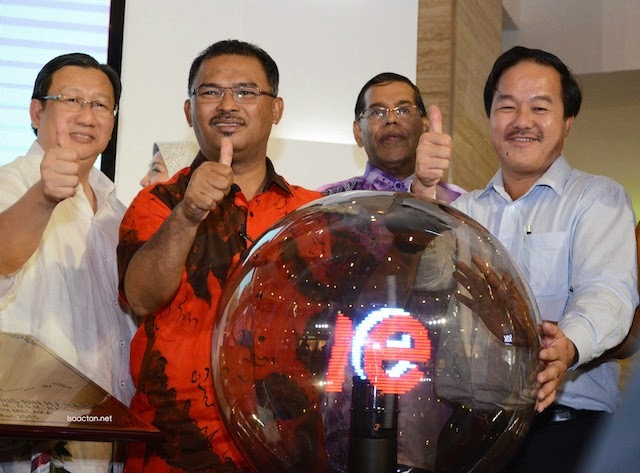 Kamalul Arifin said PHB currently owned prime commercial assets ranging from office buildings to retail malls, logistic warehouse and hospitals in strategic locations around Klang Valley. The mall is PHB's first completed property outside Klang Valley. 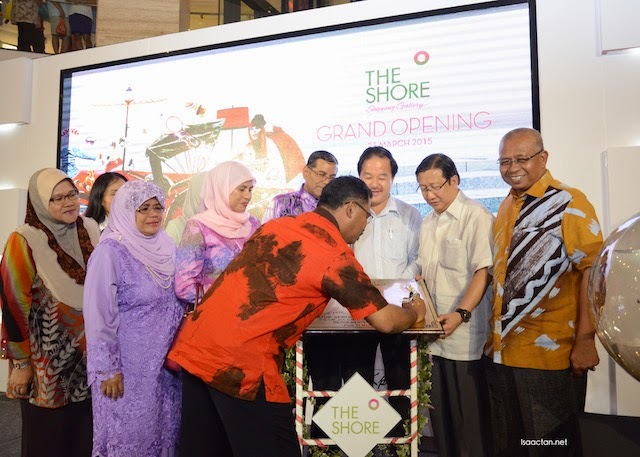 Congratulations on The Shore Shopping Gallery Malacca's official launch! 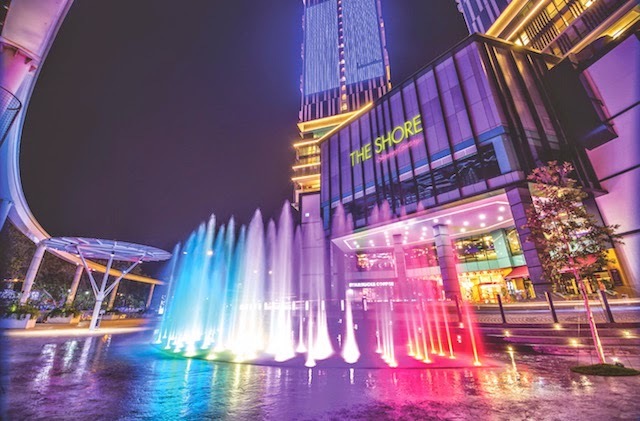 The mall achieved full occupancy since its successful soft launch in December last year, boosted by three major anchor tenants, TANGS Lifestyle Store, The Shore Oceanarium and Lot 10 Hutong Food Gallery. Kerjaya Prospek Group will develop an oceanarium adjoining to the mall which will boast the world's longest aquarium tunnel and coral reef besides South East Asia's maiden 360-degree view perspective. 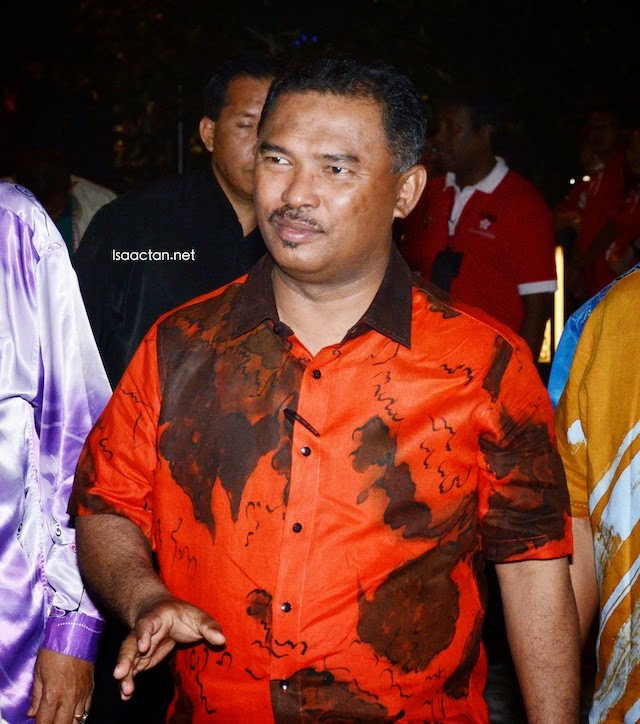 Yes, it's that awesome, where the oceanarium will be the latest tourist attraction in Melaka. To celebrate the grand opening, the lucky one millionth customer was greeted at the mall's main entrance where he received the prize of a two days one night stay inclusive of breakfast for two at Swiss Garden Hotel & Residences Malacca. Pretty cool. Up for grabs in the Grand Draw Rewards Programme is RM15,000 worth of prizes sponsored by TANGS, Elle, Guy laroche, La Bodega, Swiss Garden Hotel & Residences Malacca and Parenthood Superstore. The winner of the Spend & Win Programme which was carried from the soft opening in November 2014 and ended Feb 1 2015 was also announced. 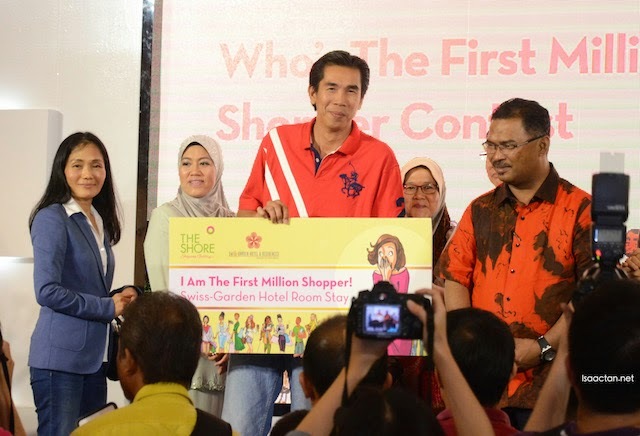 The Grand Prize winner walked away with RM8,000 worth of cash and cash vouchers while the First Prize winer walked away with RM2,000 worth of cash and cash vouchers. These prized were also sponsored by TANGS, La Bodega, Sushi Zanmai, Oceanarium, Starbucks, Swiss Garden Hotel and Parenthood Superstore. Other attractions of the mall would be the Riverside Promenade by Malacca River. The Promenade will tantalise patrons with its beautifully landscaped musical fountain, an amphitheatre for both outdoor and indoor events and eateries. The upgraded ‘Boardwalk’, a term used for the wooden walkway built to accommodate tourist who intend to ‘walk on water’ will provide a solid pedestrian footpath for visitors to walk along the river line and also serve as an alternative path to Jonker Street and to other historical sites. Guests will be fascinated by the Mangrove Walkway where they can see that the mudflats have holes, some big and some tiny -- indicating that crabs, cockles, shellfishes and small animals live in them. For the convenience of the shoppers & tourists, there will also be a new bridge connecting The SHORE across Malacca River, to the Eye of Melaka. Macikz, the hotel is pretty good, very new and all. Might do a short post on the rooms and facilities. thanks!